Hi. I’ve made a small tool that is setting the selected edges length to the same value. After that you can use scale parameter to further resize the results. PS. If this addon will prove useful I’ll try to submit it to the Blender release. also it will be nice to equalize edges to last selected. but how to judge the start point and direction of every treated line? The problem is that it’s not by default working on edge rings but on any selected edge. I’ll try to figure out something but in the meantime I’m implementing the operators a little bit different. The equalized edge length is set as a parameter “Widght”, and after the operator has been executed you can actually modify the result length instead of this nonsense “Scale” idea of mine. some time investing to combine it with a min and max value to start the lenght also from a boundary face side? this is very nice. Also hello mkb haha. I actually at last now had time to test this. And I have no experiese of python. I saved it as .py file and github did add some .html elements to the file, that cannot be right. Then I tried to copy/paste it to blenders text editor, but I get errors when I click “run script”. You need to save the Raw version. 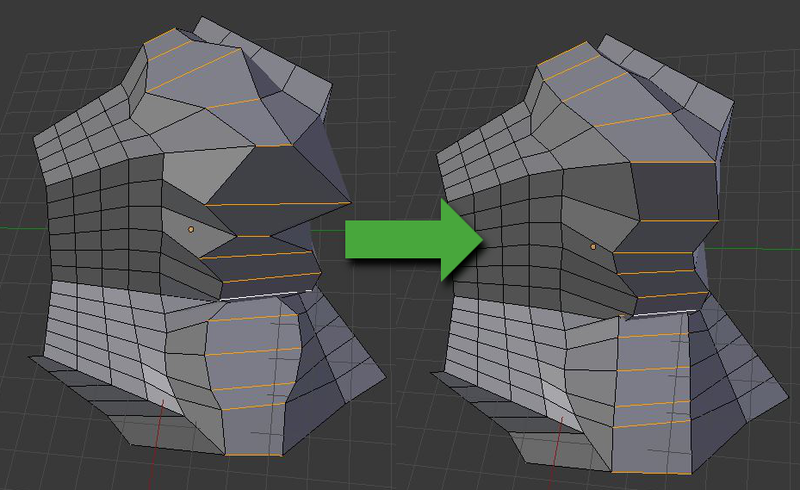 Cause it is an add-on, put the .py file in your add-on folder and activate it in blender -> user preferences. I found out that it works very well when you select edge rings, but with edge loops it does not work. I hoped that it would be used to create perfectly spherical loops since ALT + SHIF + S cannot do it alone, cause it does not care about the edge lenghts. Was wondering if something like this existed, and then saw it as a recommended addon in hardops. Thanks! One hopefully small request, a submenu for this in either the specials (w) or edge (ctrl-e) menus.